I run the program through sudo as it requires permissions to write to the parallel port. 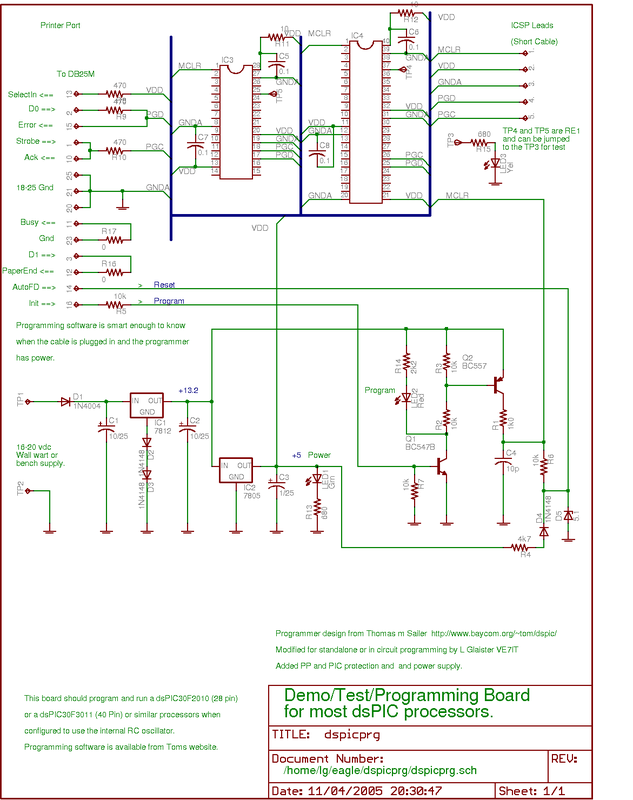 This work was heavily derived from the project documented at http://www.baycom.org/~tom/dspic/ (link no longer valid) I added the eagle pcb layout and some minor software changes to get things working on my system. 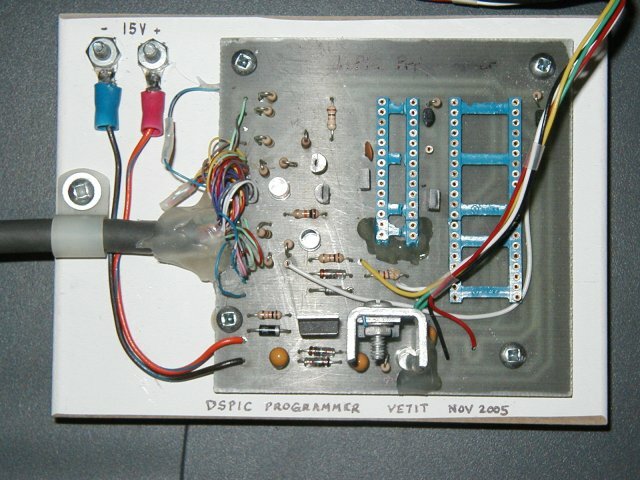 Thankyou to Thomas Sailer and Homer Reid for their earlier work on the dspic programming system for linux. Note: the pcb milling files linked below have a connection between TP15 and TP2. You will need to cut this connection and rewire the connection to match the eagle schematic and board layout files. 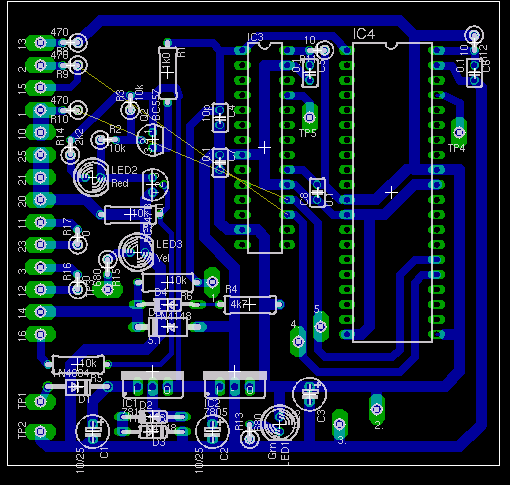 You can also regenerate the milling files using the pcb-to-gcode.ulp program used with eagle. This change was discovered during testing of my prototype board. Note: If you substitute 2n3904/3906 or 2n4401/4403 transistors, pay attention to the fact that the lead pinouts for the packages are different. The transistors need to be inserted with the flat side opposite to the layout drawing. Linux distribution using a 2.6 kernel (Tested on Ubuntu Dapper).